​Rehearses Sundays 3:00 to 5:30 pm on full format days, and 3:00 to 6:00 pm on triple format days. The Youth Symphony, founded in 1965, consists of the most experienced musicians in our organization. Students range in age through high school. Its members are drawn from a wide geographical area and enjoy the enrichment and challenge of performing with other serious and dedicated musicians. The Youth Symphony has a history of presenting exciting repertoire and looks forward to each season of fine performances. ​Maestro Commanday has had wide experience and a history of success with young and pre-professional orchestras. He is currently Artist in Residence and Adjunct Faculty Instructor in Music at Eureka College. He has conducted and taught at Harvard University, Boston University, MIT, the Longy School of Music, the Tanglewood Institute, and Virginia Commonwealth University, working with orchestras, chamber music ensembles, and private cello, bass, and guitar students at these institutions. Maestro Commanday’s extensive work with young musicians commenced when he was named Music Director of the Boston Youth Symphony Orchestras (BYSO). He brought the BYSO to national recognition, earning three ASCAP awards for programming and leading four international tours. Commanday and the BYSO commissioned and performed the world premiere of the Double Concerto by Ivan Tcherepnin, with soloists Lynn Chang and Yo-Yo Ma. The performance earned the prestigious Grawemeyer Award for the composition and its composer. David Commanday is active in the United States’ music education community as conductor, clinician and adjudicator. 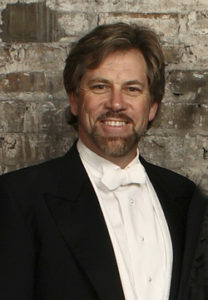 Commanday is Artistic Director and Conductor of the Heartland Festival Orchestra, and was recognized as Illinois Professional Conductor of the Year 2011 by the Illinois Council of Orchestras. His guest engagements with professional orchestra have spanned the globe. Abroad Maestro Commanday has appeared with such orchestras as the Israel Philharmonic, Belgian Radio Orchestra, and Vienna Pro Arte Orchestra. At home he has directed the National Symphony, American Symphony, Louisville Orchestra, and the Seattle, Atlanta, and California Symphonies. He has extensive experience with the ballet, conducting for Joffrey Ballet (New York and Chicago), Ballet West, Pacific Northwest Ballet, Richmond Ballet, Sacramento Ballet, Washington Ballet, Peoria Ballet, and Kansas City Ballet.